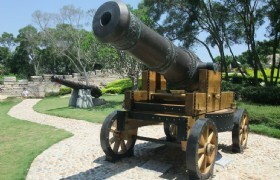 Both Xiamen and Guangzhou are the renowned industrial and commercial port cities in South China. 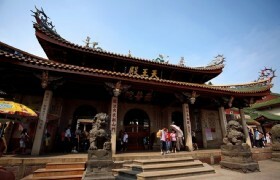 While in Xiamen, it has become a sightseeing haven in Fujian. The top attractions cover Gulangyu Island and Hakka Earth Buildings.In Guangzhou, you can learn and experience more of the Lingnan culture. 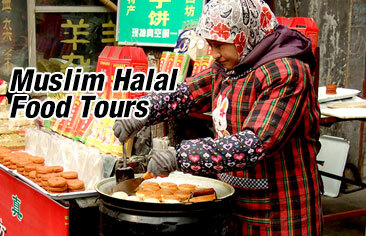 Detailed Itinerary: When you arrive in Xiamen you will be greeted by our tour guide at the airport or train station. A comfortable vehicle with an experienced driver will transfer you directly to your hotel. Your guide will assist you with check in. You are free to explore the city for the rest of the day. 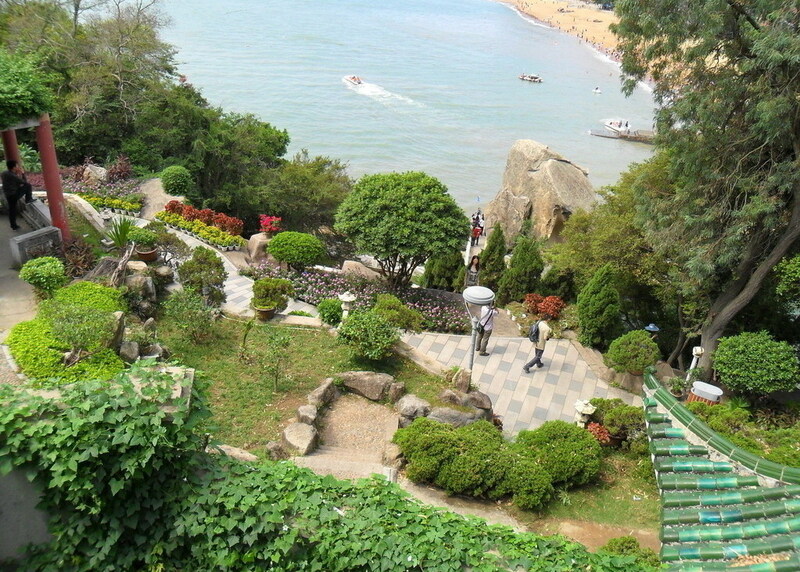 Detailed Itinerary: This morning you will visit Gulangyu Island. 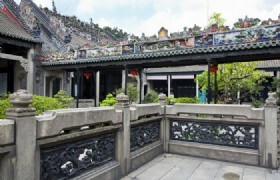 On Gulangyu Island, you will visit Shuzhuang Garden and Piano Museum, the largest piano museum in Asia. In the afternoon, you will take a trip to Hulishan Fortress and South Putuo Temple. The highlight of the tour is the wonderful Ring Road. 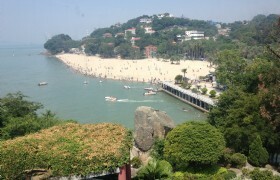 Gulangyu Island: The most romantic place in China. Ring Road: Ring Road Xiamen runs along Xiamen's beautiful shoreline. Detailed Itinerary: Today you will take a bus to Nanjing, where you will visit the World Cultural Heritage Tianluokeng Hakka Earth Building Cluster. Afterwards, you will take a walk in Taxia Village to enjoy the Hakka culture. 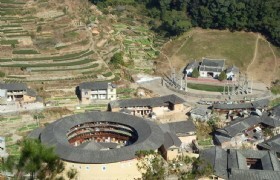 Earth Building in Nanjing: Another famous Tulou Building near Xiamen. 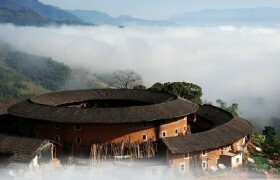 Tianluokeng: Tianluokeng tulou cluster is one of the better known Fujian Tulou cluster. 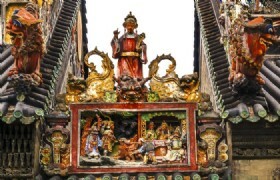 It is located in Shuyang town. 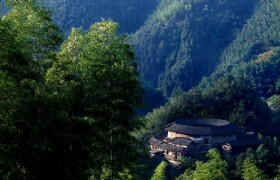 Taxia Village: This amazing Hakka village is located in a valley in Shuyang town. 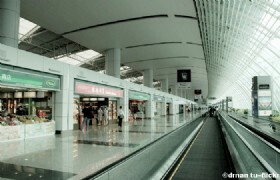 Detailed Itinerary: After breakfast, you will be transferred to the airport for a flight to Guangzhou. 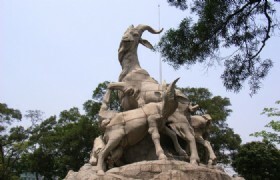 On your arrival in Guangzhou you will visit Yuexiu Park and Museum of Nanyue King. Guangzhou Baiyun International Airport: Guangzhou Baiyun International Airport (IATA: CAN, ICAO: ZGGG) is the main airport of Guangzhou, the capital of Guangdong province, China. 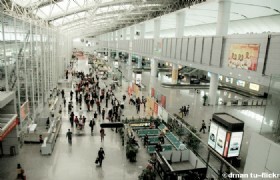 Both airport codes were inherited from the old airport, and the IATA code reflects Guangzhou's former romanization Canton. 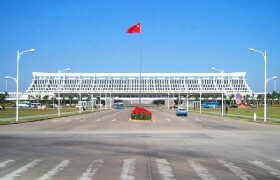 The airport is the main hub of China Southern Airlines and a focus city for Shenzhen Airlines and Hainan Airlines. 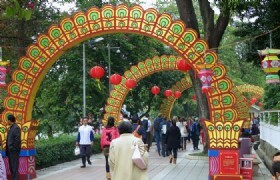 Yuexiu Park: Yuexiu Park is the largest and one of the earliest comprehensive parks in Guangzhou. 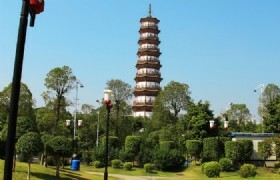 Yuexiu Park is regarded as one of the “Great Eight Tourists Sites of Guangzhou”. Museum of Nanyue King: The tomb was discovered in 1983, 20 meters under Xianggang Shan (Elephant Hill) in Guangzhou on a construction site for a hotel, and was excavated. The tomb measures 10.85 meters in length and 12.43 meters in width. It is divided in 7 parts, with a front chamber, east and west wing rooms, the main coffin chamber, east and west side rooms, and a back storage chamber. 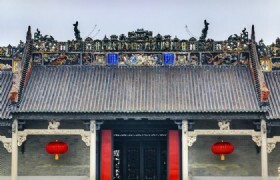 Detailed Itinerary: After breakfast, you will visit the Chen Clan Academy, Qing Ping Market, Temple of the Six Banyan Trees and Dr. Sun Yat Sen Memorial Hall. 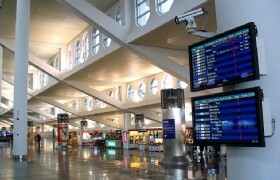 Detailed Itinerary: After breakfast, you will be transferred to the airport for your flight home. 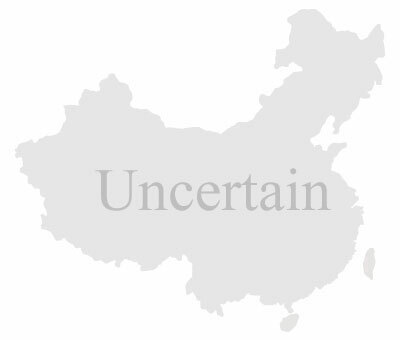 Domestic Airfare from Xiamen to Guangzhou. 2) Additional charge for accommodation for special holidays is USD25 per person per night. Special holidays include: Christmas, Easter, New Year, Chinese New Year. Labor Day Holidays from May 1-7, National Day Holidays from Oct 1 to 7. 3) Tipping standard per person per day: USD3 for tour guide, USD2 for driver. 4) Our service is based on seat-in-coach service. 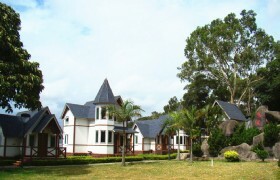 We have coach service with English speaking tour guide in many cities. After you have bought our tours, we will piick you up from airport/hotel/ferry terminal, take you to visit famous attractions in town.